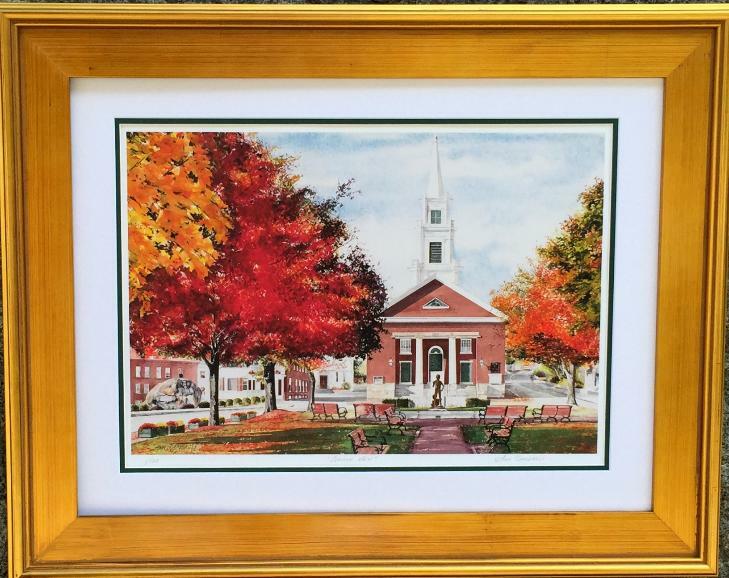 "Common View", the Upper Common, Fitchburg, MA, an original watercolor by Ann Capodagli, is now available in limited edition Giclee prints. for the frame of your choice. Prints are also available completely framed in beautiful gold Plein-Air frames,18" x 24" ($250.00) and 11" x 14"
through fine art reproduction today. Original art, the perfect gift!